I had so much fun writing about Halloween movies, I decided to extend the series and write about films perfect for Christmas/the holiday season! Most will probably be about Christmas, but I’m leaving myself wiggle room for other holidays and general winter movies. Remember, these are not reviews: I’m writing about films and TV specials that I love and recommend. My favorite Christmas movies generally have a nice mix of humor, fun, wackiness, and heart––– and some good music doesn’t hurt, either. The Muppet Christmas Carol (1992)! By the way, if you like the Muppets, make sure you check out The Muppets on ABC! I’m not sure why there’s music from Beetlejuice in the trailer, but it works. Spoilers lurk beyond this point! Yes, this is the story you know (and, if you’re still reading this, probably love). If you’ve seen even one adaptation of this classic tale, or read the book, you’ll recognize dialogue all over the place. If you’re thinking that the presence of the Muppets would inherently make this an unfaithful adaptation, you’re very, very wrong. This adaptation accomplishes the difficult task of being faithful to the novel while also being unique. For one thing, it’s a musical. The music is marvelous: it will make you smile, laugh, tear up, and want to sing along. If you watch the extended version, the additional song will also break your heart. One of the creative ways The Muppet Christmas Carol shows loyalty to the novel in a way many productions don’t is by having a narrator, played by Gonzo. (Fun fact: Gonzo’s my favorite Muppet––– though I love them all––– but that’s a whole other post…) This allows even more text from the novel to be included in a fun and interesting way. Michael Caine is an amazing Ebenezer Scrooge. He plays the role with the same dedication and depth that you’d expect from an actor in any other production of A Christmas Carol. He also interacts very naturally with the Muppets, which is so important for any Muppet production that you don’t even notice it when it’s done well. As a bonus for Muppet fans, all of the Muppets are very well cast in their roles, and their performances are very strong as well. With the Muppets involved, the humor gets amplified, while still leaving the more serious moments intact. The latter may be surprising to people who aren’t very familiar with the Muppets, but for Muppet fans, it’s expected. The Muppets are masters of mixing comedy and drama, making you cry tears of laughter one minute and tears of heartbreak the next. That’s why they go so perfectly with the Christmas season. Whether you need to get into the “spirit” of the season, or are so steeped in it that you need an outlet for your unrestrained glee, The Muppet Christmas Carol is the film to do it. Another fun fact: the first role I ever played was the Ghost of Christmas Present in a class production of A Christmas Carol. To this day, one of my first lines is an inside joke in my family… “Look at me!” Yes, it was ridiculously fun and I loved every second of it. 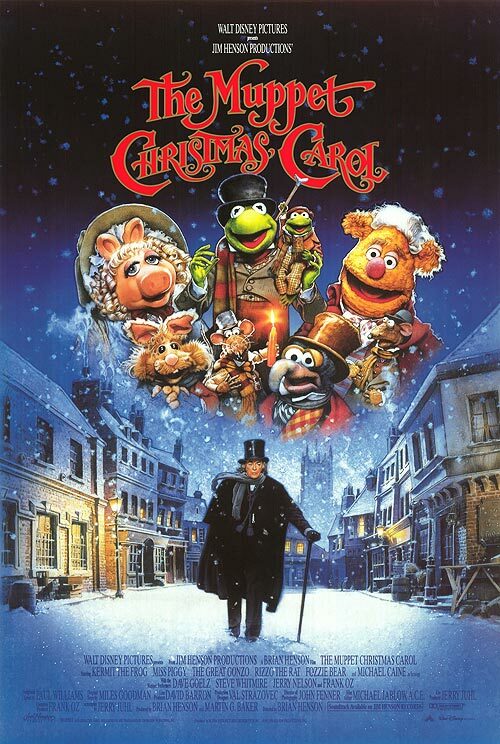 This entry was posted in Christmas, Christmas/Holiday Movies, Disney, Holiday Season, Movies/Film, Music, The Muppets, Thoughts On and tagged Christmas 2015, Holiday Season 2015, The Muppet Christmas Carol on November 28, 2015 by Jamie Lee.